Danny is the Chief Marketing Officer (CMO) of GDP Venture and a serial entrepreneur focusing in digital and advertising marketing industries. He founded several companies such as Mindtalk.com, SemutApi Colony, MerahPutih Inc., Bolalob.com, Kincir.com and MediaXasia to name a few. He is an angel investor in Kaskus, Carousell and others. 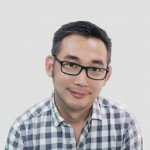 During his professional year, he has won numerous awards and recognitions, such as Chief Marketing Officer Asia of the Year (2010), One of the Best Mentor in Asia by Founders Institute (2014), Top 100 Young Influencers in Indonesia by Markplus Inc., and Top 10 Young Business Person of The Year by Jawa Pos Group 2016. Currently he is also the Chief Digital of Indonesian Advertising Agencies Association or PPPI (Persatuan Perusahaan Periklanan Indonesia).